This project comprises the construction of dual road tunnels, approximately 9km in length, beneath Pennant Hills Road and the Northern Railway Line linking the M1 and M2 Motorways. Each of the tunnels will be built with a capacity for three lanes. The Australian and NSW governments have each committed $412.33 million towards the NorthConnex project, including the use of Hornsby Quarry for spoil management. The project is being delivered in partnership with the project's private sector sponsors, Transurban and the Westlink M7 Shareholders. Planning approval was received on 13 January 2015, along with submission and acceptance of the final binding offer as part of the Unsolicited Proposals process. 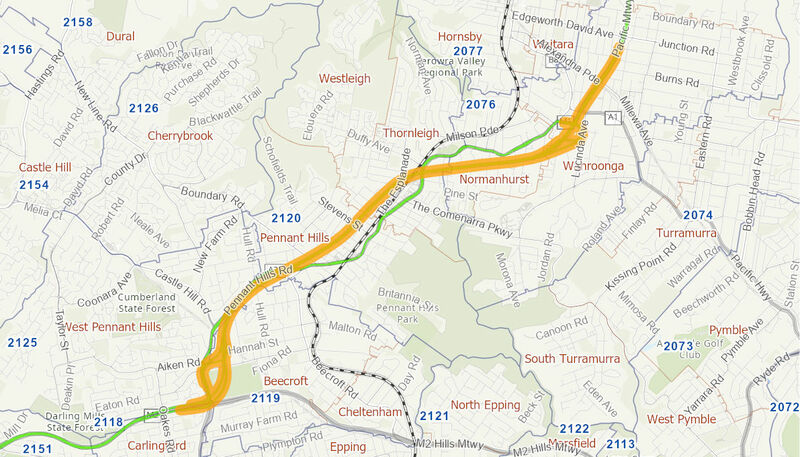 The NSW Government, Transurban and the Westlink M7 Shareholders reached Contract and Financial Close on 31 January 2015, which includes acceptance of the final offer from the preferred tenderer and reaching final agreement on funding. Lend Lease Bouygues Joint Venture was awarded the contract to design and build the project following Contract Close. Construction started on 5 February 2015. Excavation of all mainline tunnels was completed in November 2018. Fit-out and road connections are underway, with the project expected to open to traffic in 2020.